in beautiful Laguna Beach, CA. Click here to register for the early bird rate. The Shine Women's retreat is the ultimate self care weekend where every woman is warmly welcomed. Women of all ages, professions, ethnicities, sizes, single or coupled up, kid free women, or busy moms are invited to join us, including the happy or heartbroken, the introverted or extroverted, the frazzled and the bedazzled! Can you feel the warm sun on your face and the ocean at your ankles? Are you ready for some "YOU" time? Because you give so much to others, this restorative women's weekend retreat has just the right balance of supportive workshops, relaxation, self care time, festive fun and connection. Mari and Anna are licensed therapists and experienced workshop leaders who designed the Shine Retreat to give you time and space to fill your cup, heal your heart, replenish your spirit, and connect with other creative and authentic women, and savor a slower, more nurturing pace to recharge yourself for all that you do in the world. 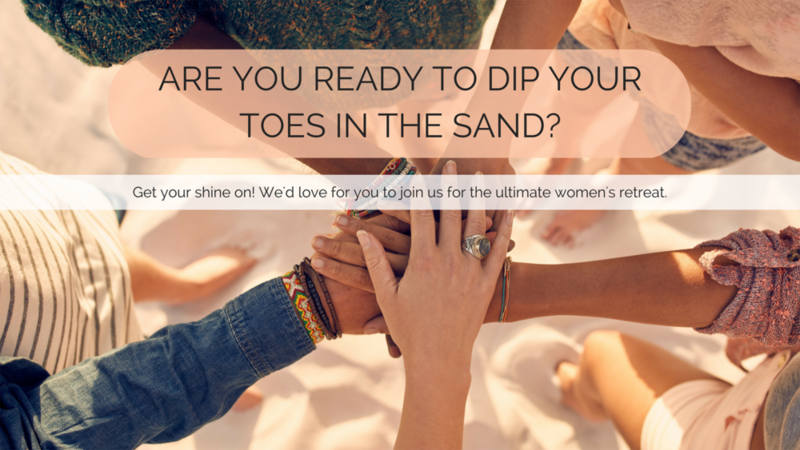 The Shine Retreat is designed for every woman. We give so much to others, and sometimes we need to give ourselves permission to take a weekend away to fill our own cup, connect with other kind and authentic women, attend inspiring workshops, heal our hearts, nurture our spirits, and participate in relaxing activities that replenish our energy. The Shine Retreat at the beautiful Inn at Laguna Beach, CA. is more than a spa getaway or girls weekend, it is a much loved self care retreat for women around the world. Created by two busy women and therapists, Anna and Mari, who understand the need to step out of the every day hustle and bustle and give yourself a gift of self care and healing. If you are a woman that works inside the home, outside the home, or both - we understand that you are often pushed beyond your limits. You may be a self-care aficionado or on the brink of burn out. Perhaps you are going through a change in life - a break up, divorce, or a betrayal. Or perhaps you are dealing with an "empty nest", grieving the loss of someone you love, a health issue, or a career change. No matter your reason for needing some time to heal and restore, attending the Shine Retreat weekend gives you the time and support to focus on your needs. Learning new tools to take care of your heart, spirit, life and relationships can make a tremendous difference in how you thrive (rather than just barely survive) in your life. Whether you’re grounded by your female friendships or feel alone in this big world, connection and love is the key to healing. Most importantly, we know the power of finally admitting that the universal struggle of being all things to all people only leaves you being nothing to yourself. 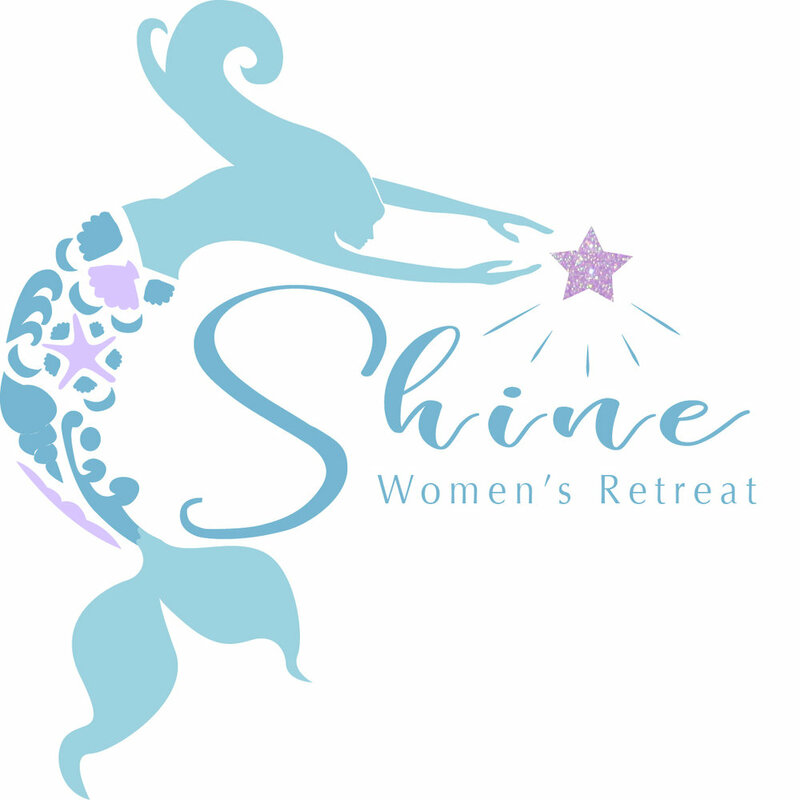 The Shine Retreat inspires women to break the cycle of give, give, giving with no receiving, to release the hurts, heartbreaks, guilt and resentments that hold women down, to move through sadness and loss, and to fully rejoice in the unique gifts each of us bring to the world. It is time to invite balance and joy to become a regular part of our lives once again! The Shine Retreat is different than any trip or woman's retreat you have had before, because it is truly a “drop your bag” experience. Meaning you arrive, drop your bag in your room, and give yourself permission to let Anna and Mari take care of all the details. Every. Single. One. The women who attend The Shine Retreat share that this is the retreat they had been searching for. If you've been wanting to join us, we welcome you and want you to know that you deserve a gift of self care. Yes you, reading this right now, absolutely deserve self care and restoration. Walking away from our weekend together, you will find that you are more grounded in who you are, and how your values and gifts light the path you walk in life. Our Shine "sisters" tell us that they leave the weekend with a deeper connection to themselves and feel a renewed energy and excitement for their lives and loved ones. And, if you are dealing with heartbreak, regret, betrayal, or grief this will be a time to restore and replenish yourself. But most importantly, you will have gifted yourself with "you time", to reconnect with yourself so that you will truly be able to SHINE again! And that is something you and every one of us women deserve. And, wouldn't it be nice to finally state with total confidence, I do deserve this, (even if in this moment you don’t yet have that confidence). Because that is what the Shine Retreat is all about, finding your voice, path and gifts and using them with the great strength you were brought into this world possessing. Our weekend together includes healing and inspirational workshops, connective time together, inspiring group activities and soul conversations over nourishing meals all while encouraging you to create pampering "you space" to find your breath and focus again. Essentially it is the perfect blend of a schedule that flows through the weekend without feeling overscheduled or over planned, allowing you to take the weekend at your own pace. No matter where you are in your life, you can be sure that you will be warmly welcomed as we come together in beautiful Laguna Beach, CA. for our Shine Retreat. We keep the retreat small in order to foster an environment of connection, peace, self care, personal space, and fun. Hi lovely! We invite you to take a look around the website, read the kind words and rave reviews from other women who have attended Shine, and meet your hosts, Mari and Anna. You are welcome to sign up for our interest list below if you'd like to join us in the fall of 2019 in beautiful Laguna Beach, California! Save $100 during early bird registration February 9, - May 31, 2019. We close the registration at 40 women, first come first served!